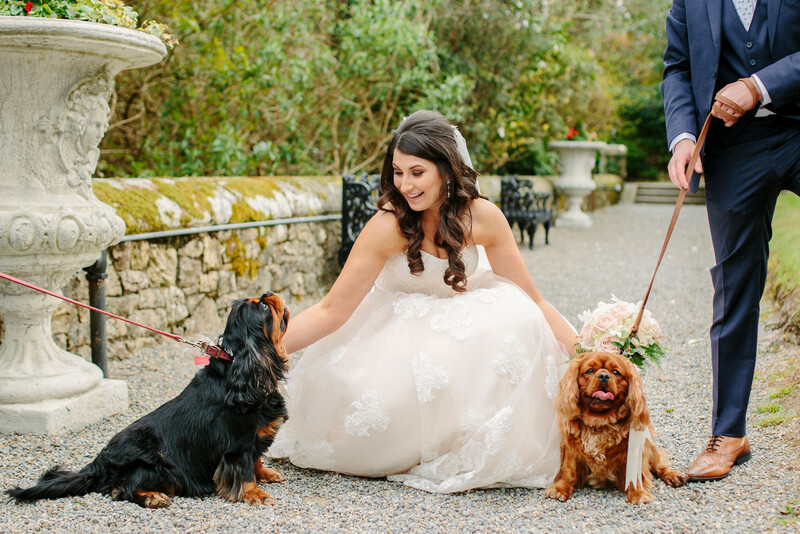 Soraya and Barry tied the knot in the stunning Waterford Castle. Photography by Candy Stripe Photography. The couple met through mutual friends at a party in college. "We got on like a house on fire and every day has been like an adventure since," says Soraya. Years later, Barry popped the question while the couple were on holidays in the North of Spain. "We were at the fiesta after the bull run in Pamplona, I started asking the awkward questions without saying the "P" word, when Barry realised what I was hinting at, he put me off the scent by saying, "It wasn't on his radar and that was the kick up the bum he needed", so I left it at that. However, a few days later in San Sebastian, Barry caught Soraya completely off guard by getting down on one knee. "He started his speech but in shock I kept talking and ruining the moment as per usual. He had asked my parents before the holiday so it was absolutely perfect and little did I know he had the ring on him for the whole holiday." 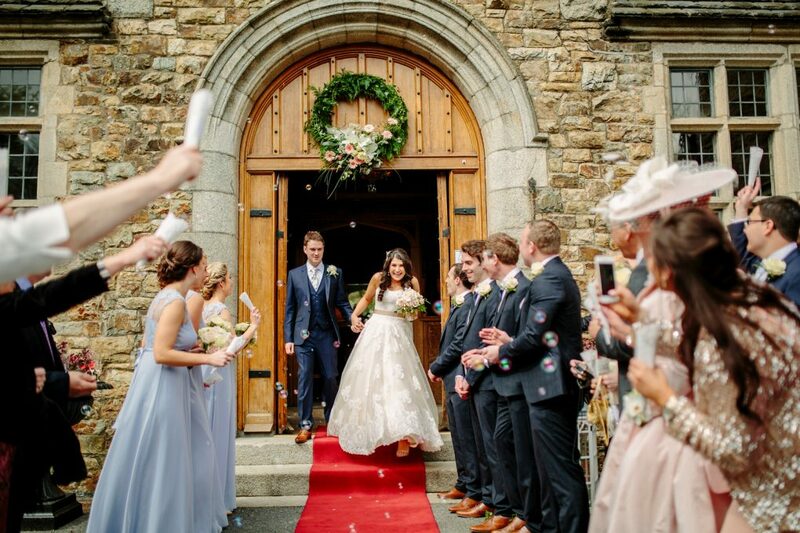 According to Soraya, the couple didn't plan their wedding in the most conventional way, with Barry living in London and Soraya living in Dublin. "However we were so excited we made the most of it, planning trips that included our favourite past times: food tasting, cake tasting, cheese tasting. We had to be super organised but it wasn't as stressful as we had imagined, in fact it was fun with minimal "pull your hair out" moments. We particularly enjoyed our visits to Waterford Castle and we cant wait to relive our happiest memories there for many years to come." 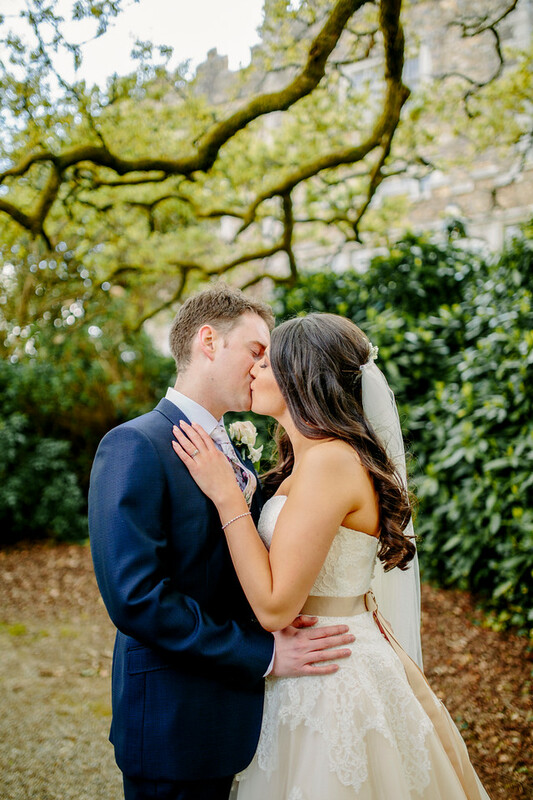 The couple say that choosing Waterford Castle was the reason their day was so special. "It was the first and only venue we visited when deciding where we would celebrate our wedding day. We were blown away by the excitement of taking the ferry to the island and the beauty of the castle, inside and out. 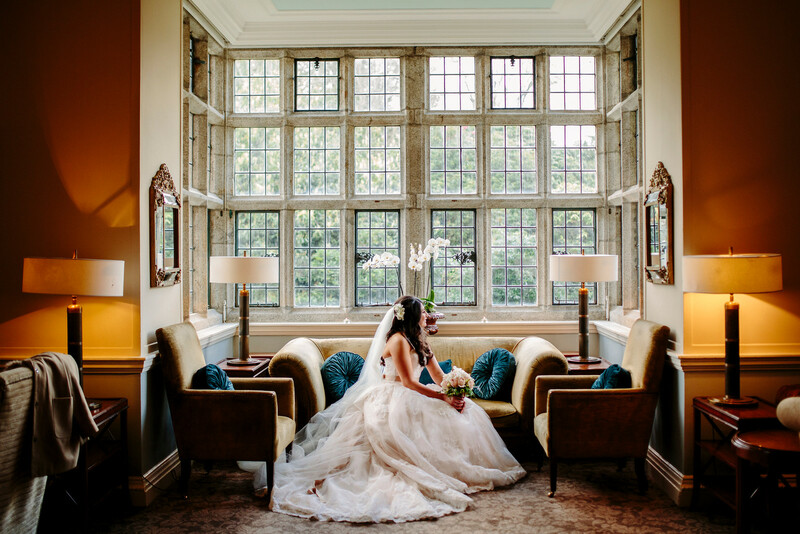 The exclusivity it offers is amazing and from the minute you step inside the beautiful oak doors, taking in the aroma of the fire and the ambiance the castle offers, we felt at home and knew this was the venue for us. To get married in Waterford Castle you rent the castle for the night, this was perfect and really gave the fairy tale factor. 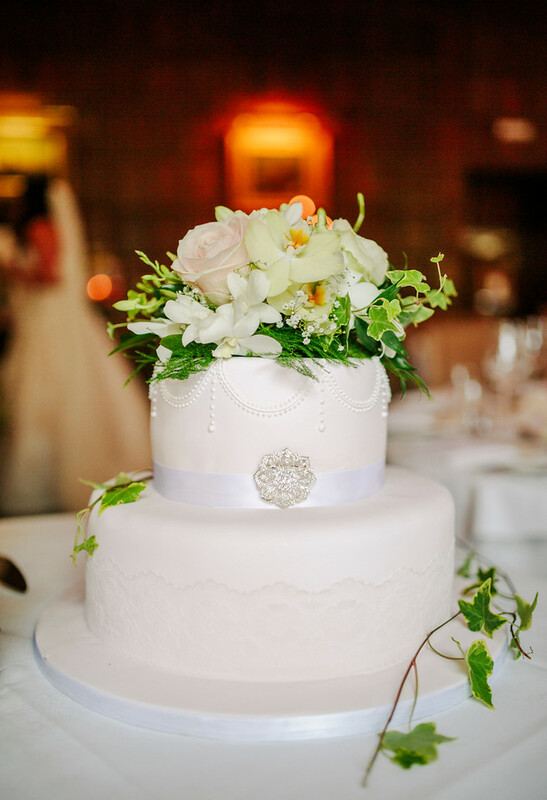 Not only is the venue stunning but one of the most important deal breakers for us was the food, so beautifully presented and mouth-wateringly delicious." 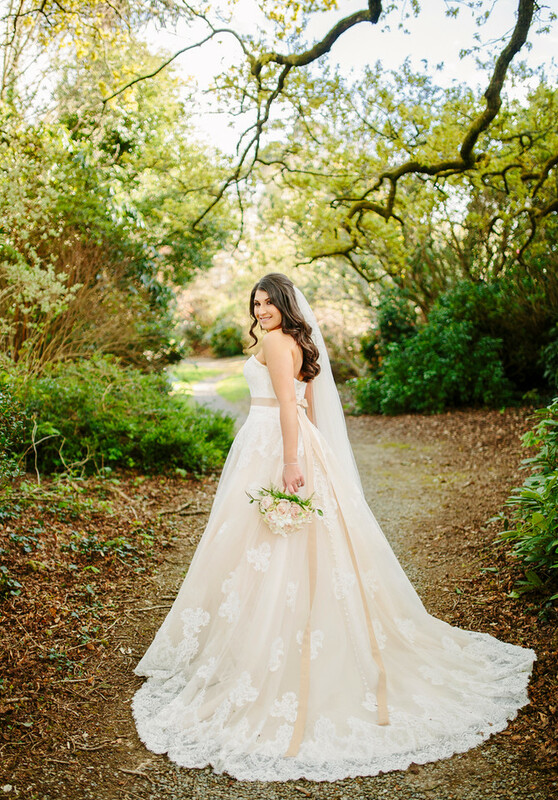 Soraya had booked bridal shop appointments all over Dublin but, although she tried on some stunning dresses, none of them excited her. "As a last hope to a long day my mom and I decided to Google bridal boutiques in our vicinity and that is how we discovered The Bridal Corner. We called expecting to need an appointment but they were so lovely and had a free appointment just for us. I did not intend to try on a blush dress but to entertain my mom I smiled and tried it on and her reaction let me know I wont be trying on any other dresses. 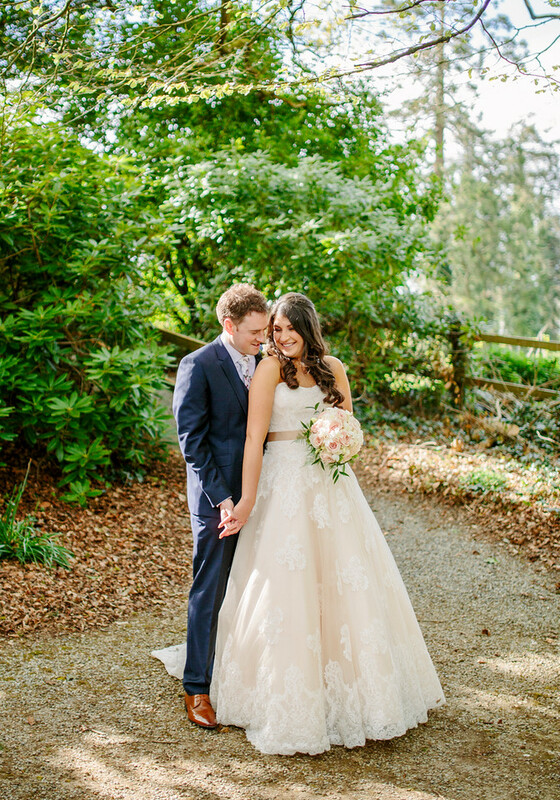 The dress was flawless with intricate lace over a stunning shade of antique peach, especially after adding a contrast ribbon to accentuate the waistline and finished with soft elegant buttons trailing down from the waist to the train." 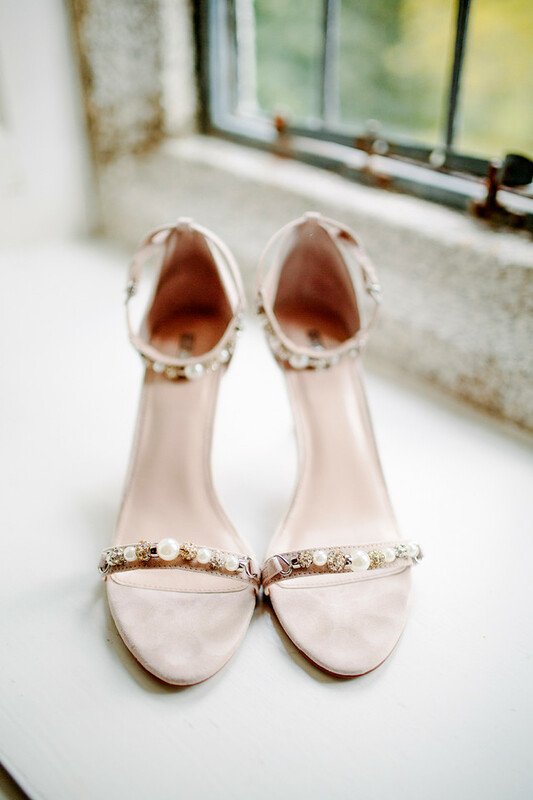 "For bridesmaid dresses I was fixated on a colour that was impossible to find although I was determined. 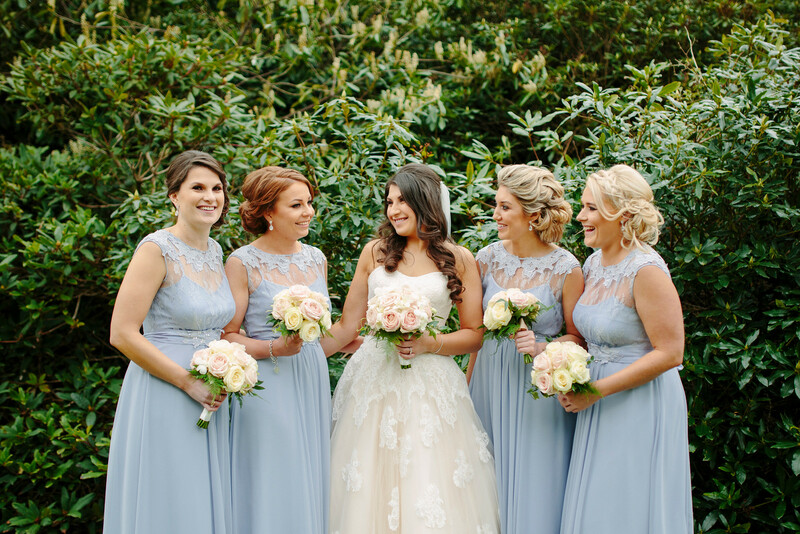 We began to panic as we were coming to the ordering deadline which we ended up missing, however we were very lucky to find four beautiful powder blue floor length dresses from Coast and the girls looked stunning. The boys looked dapper in Ted Baker too." Soraya says they were lucky to have Waterford Castle to themselves because it allowed for more personal touches. 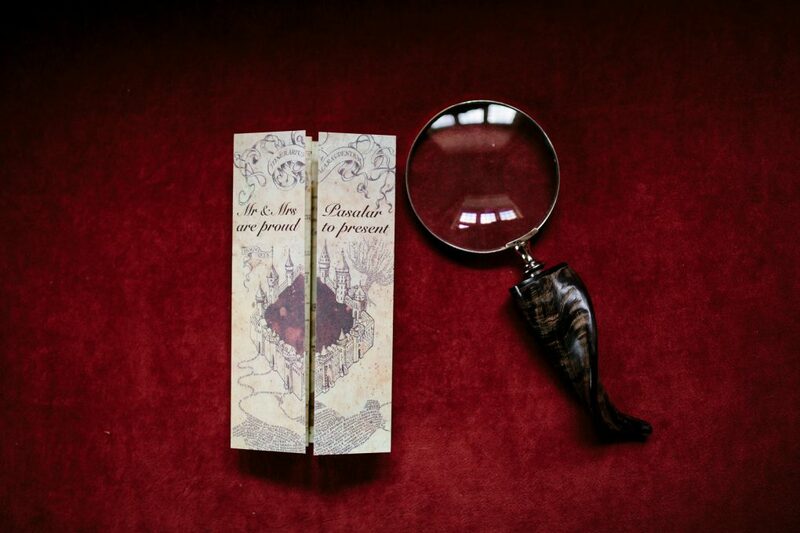 "We had a friend design our wedding invitations that opened like the Marauder's Map in Harry Potter with Waterford Castle as part of the map." 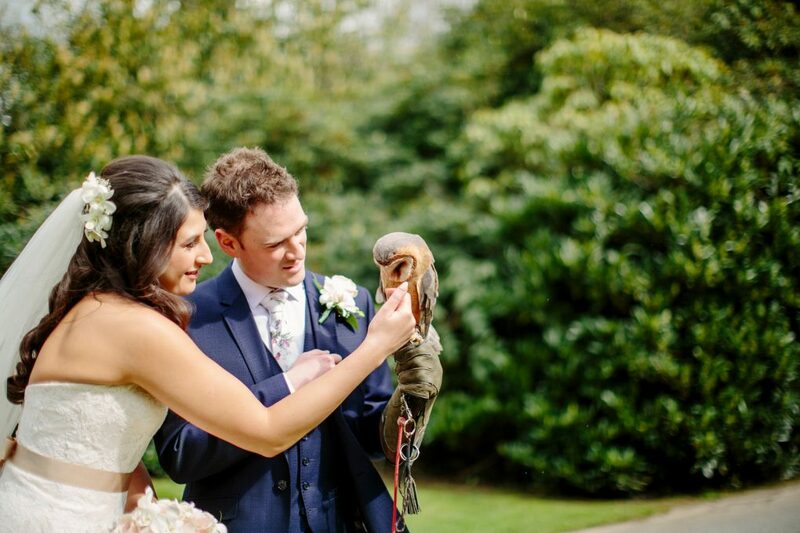 "As a surprise after the ceremony, Barry's mom had planned a display of birds of prey to greet us outside the castle, a really lovely memory seeing Barry's reaction. Also, my dad is Iranian and we wanted to celebrate this with Persian wedding traditions. A bowl of pomegranates to represent a joyous and fruitful future for the couple was a perfect way to do so. Due to having the castle to ourselves my mother had a vision of what the flowers would look like. Adorning the staircase with cascading flowers and a stunning floral reef on the front door truly transformed the venue in to a fairy tale enchanted castle." "Our wedding day also hosted two of our best friends' birthdays, one of the bridesmaids and one of the groomsmen. To celebrate this we asked our guests to light a sparkler outside revealing a secret firework display after the meal, really setting the tone for the party to come. We danced the night away to the fabulous band, The Unusual Suspects, and when they found out Barry could play the drums they had him up playing with them, it was a proud and brilliant moment. 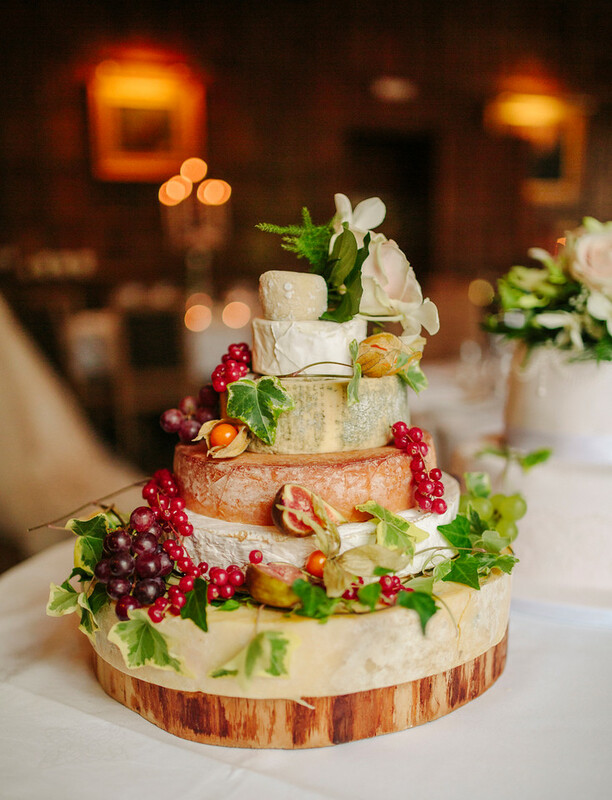 We finished the night by devouring our wedding cakes, Barry loves cheese and I am fond of a cake or two so we went with both." Soraya says even though they were warned, they still didn't realise how quickly the day would pass. "There is no way you can prepare for something you plan and dream of for so long to pass by so quickly. We had hoped to take a spin around the grounds in a golf buggy as we did not need a traditional wedding car. Unfortunately, time was not on our side so we didn't get time for it and this would have been a part of the day we were both excited about. 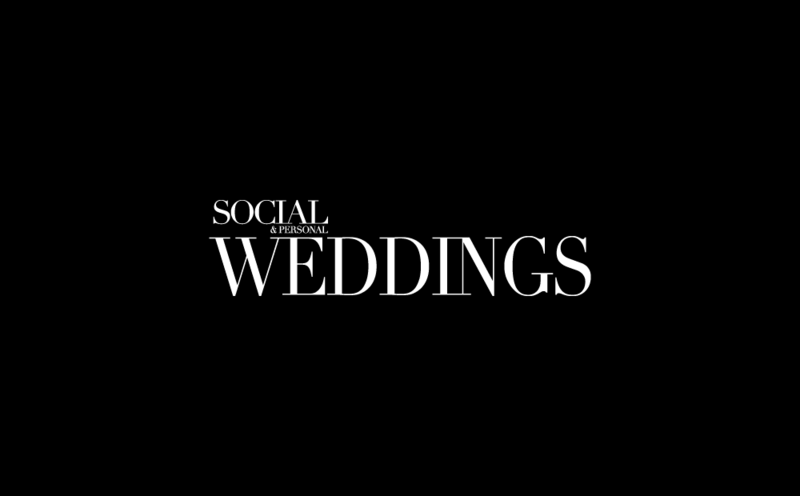 We decided not to use a videographer, it would be lovely to listen back to the ceremony and speeches especially, however we feel we would not revist this on a regular basis." 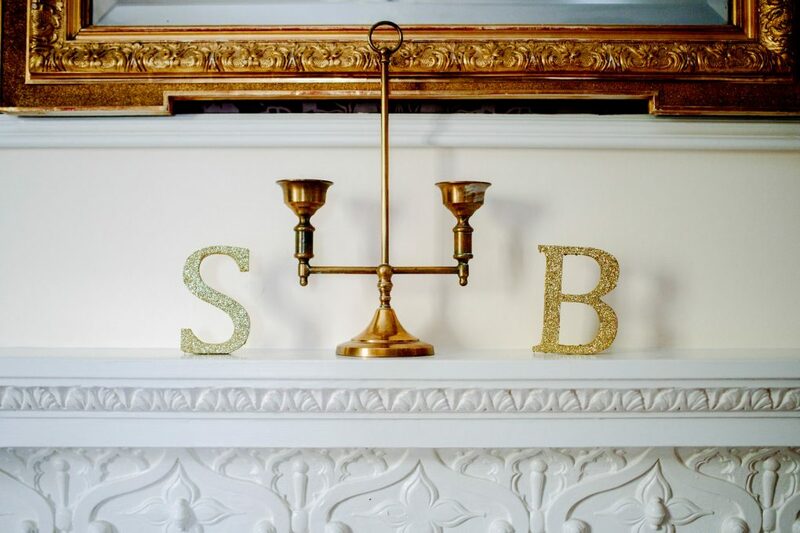 She also took some sage advice from a friend, which she believes is essential for all brides and grooms-to-be. "A dear friend advised me not to panic the week before and make last minute arrangements or add more to the day then planned. I listened to this and I am so glad she gave me this golden nugget of advise. We planned our day exactly how we wanted it and I think if we did add any more last minute ideas this would have taken away from how special it was. I would also advise on the day to enjoy it and not worry about the finer details, they will all fall in to place. I remember when I first saw my dad I was in a flood of tears and minutes later my make up was fixed and perfect again. I am glad I had that wonderful moment with my dad and didn't care about ruining my makeup. I think if you appreciate and soak up the reason for the day, getting married to your best friend, it really does become one of the happiest days of your life."